SCOTTSDALE, Arizona – The final days of 2017 brought a flurry of activity in the Phoenix commercial real estate market. For Scottsdale-based ORION Investment Real Estate, it has been another successful year measured by growth and deal volume. 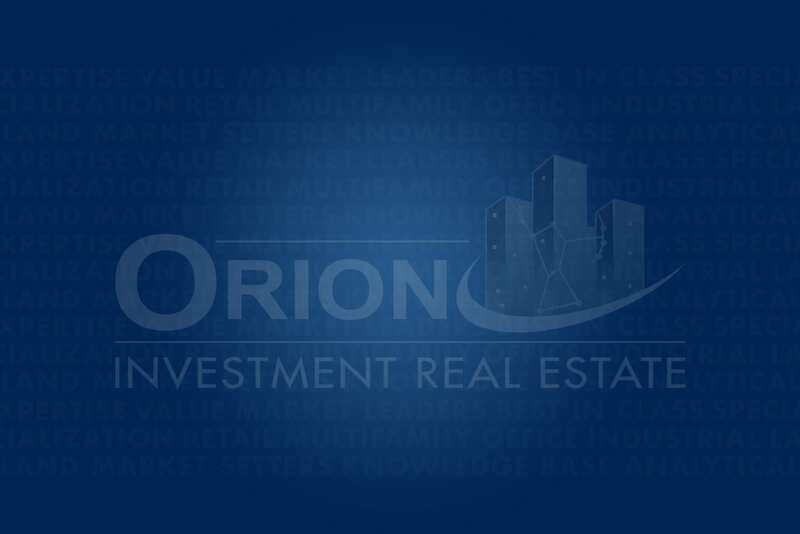 Focusing both on investment sales and leasing, ORION finished a strong 2017 with nearly $50 Million in closings in the final month of the year. In just three days, the firm had over $29 Million in closings with the multifamily sales of Carole Arms, Stapley Place and Santana Ridge Luxury Condominiums, and the sale of the Republic West Office Building located in South Scottsdale. Additional multifamily closings in December included Stadium Court Apartments, Papago Vista Townhomes, and Arcos de Mesa. The retail team was active as well with the closings of Brookside Village in Surprise and a Dollar General portfolio in the mid-west United States. Multifamily producers Joseph Dietz, Bob Farrell, Linda Ayala, Christopher Roach, Matthew Roach, and Zack Mishkin are responsible for the transactions mentioned, along with Judi Butterworth and Nick Miner, CCIM closing the Republic West Office Building. Ari Spiro, Sean Stutzman and Derek Buescher handled the retail investment sales. The ORION retail leasing team finished 2017 strong, with Michael Achtman completing leases for Hunt’s Interiors & Design in Scottsdale and Escape House in Mesa. Jennifer Eggert completed a lease for Herbal Nails & Spa at Algodón Center in Phoenix. Judi Butterworth completed a lease for Phoenix Salon Suites in Gilbert, and Gary Maitha for AZ Investment & Management in Phoenix.